People and places are inextricably linked. Your knowledge about life and how you move through the world is based on the environment where you were raised. A good example is what we found among the Igbo, where landscape provides space to discuss and decide on the social structure and social processes. My work builds on this understanding, and on the idea that places or landscapes tell stories: about people, how they lived in the past and how they continue to interact. My latest research, conducted with my Ph.D. supervisor, focuses on the village arena or square used by the Igbo people of southeast Nigeria. This space has various names because of dialectical differences. The Nsukka Igbo who lives in our study region call it “Otobo”, so that is the word I will use. The Otobo is the heartbeat of a Nsukka Igbo village. It’s a place for learning; for spiritual practices; for events that bring people together. Though the Otobo is not permanently in use, its existence and the activities held there at different times of the day, month, or year live on in villagers’ hearts. This is a perfect example of how people and places become interwoven, and how a group of people comes to value and feel attached to a particular place – even one that isn’t always in use. Similar spaces exist, but Otobo stands out because of the way it embodies every aspect of the Igbo culture. There is a great deal to learn from such spaces about ourselves, others and ancestors. For instance, we’re able to understand how ancient people organized so much through the village arena: their politics, economy, religion, culture and social lives. In many villages, Otobo was—and often still is—the equivalent of a parliament. A village was only recognized and considered independent if it had an Otobo. Historically, the Igbo lived as Republicans. Villages existed independently, and the Otobo symbolized that sovereignty. 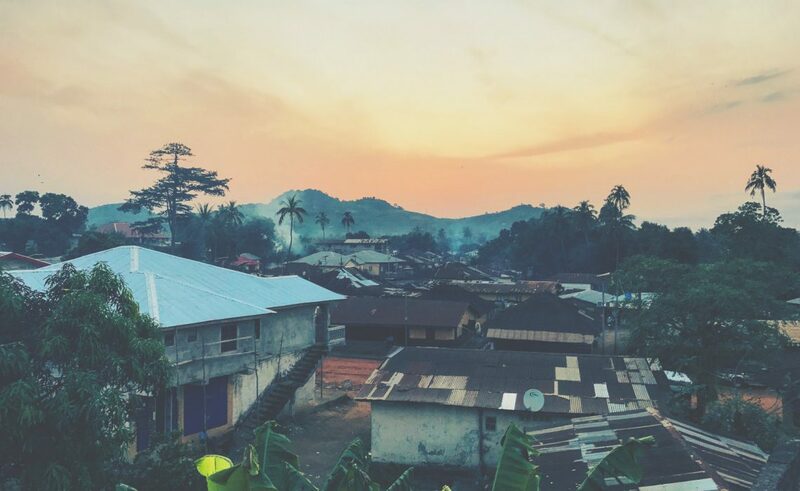 Even though Igbo villages are no longer their own small republics, and fall under Nigeria’s broader political system, Nigerian laws retained the customary rights of the indigenous peoples. We conducted our research in seven villages and found that the system of Otobo persists. The Otobo or arena was defined in various ways by those we interviewed. Those who are “Itarigba”—strictly of a people tracing descent from a known ancestor—meet at the Otobo to make laws and policies and to resolve crises. Land cases, family and inter-family conflicts, marriage problems and minor crimes can be heard there, and judgments delivered. The Otobo is also a festive space. Feasts, performances, ceremonies, games, and sporting activities are held there, too. All of this brings people together and means that ancient practices and an ancient space remain entirely relevant today. John Kelechi Ugwuanyi is a Ph.D. Candidate at the University of York. │First appeared in The Conversation.